With the summer holiday season fast approaching, it's very important to plan ahead and take the necessary steps to ensure that your pet is safe during the 4th of July celebrations. Many dangers can surround your pets at this time, so to minimize these risks, we have provided eight important tips to ensure you and your furry friends can relax, feel safe, and enjoy this festive time of the year. Water is just as important to pets as it is to us; so please ensure you keep your pet hydrated during the day. Ensure they always have access to fresh water and try to keep them out of the midday sun as the afternoon temperatures soar. The loud and chaotic sounds of fireworks are known to cause many pets to panic and escape from their yards. Creating a safe place indoors, just for them, and ensuring it is comfortable will decrease their anxiety and stress levels. With a favorite blanket or toy, a little music for distraction and maybe a special treat, your pet will have as much fun on this festive day as you. Re-check your pet's collar and ensure it is secure and contains updated information and details. You might also want to double check with your local vet to see if they run any micro-chipping promotions. Now is as good a time as any, to consider this option. 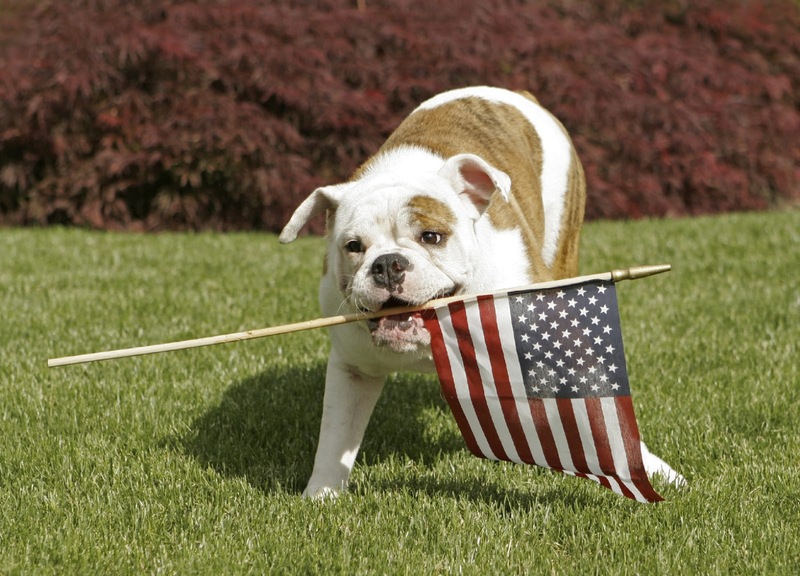 Practice desensitizing your dog to loud noises now; in plenty of time before the 4th of July fireworks. The progressive desensitization technique outlined in the Dogs and Loud Noises CD; is recommended by veterinarians, animal behavioral specialists and animal welfare organizations. It will guide you step by step though digitally enhanced tracks, including the sounds of fireworks and thunder, to help control your dog's noise phobias. Ensure that you pet-proof your home and keep streamers and glow sticks out of paws reach as pets can easily mistake your decorations as chew toys. Using Scram Repellent Granules, granules designed to deter cats and dogs from outdoor plants, gardens and lawns, will also help to keep your pet away from festive decorations that may pose a health risk. The best food you can feed your pet is quality pet food which contains the right nutrients required for their diet. So no matter how much your four legged friend begs you for your hotdog and potato salad, do not feed them any leftovers. Many foods that are fine on your plate can be both poisonous and deadly for pets. To eliminate these risks, clear the table or picnic blanket immediately after eating and ensure your pets can’t access scraps from the trash. Give your pets a calming treat this 4th of July with Feline Tranquil Formula and CanineTranquil Formula. These chicken flavored tablets, containing Tryptophan and B group vitamins, will help your pets maintain their emotional balance during this often hectic and noisy holiday celebration. Leaving your pets at home, away from the action, is often the safest and best bet for celebrating 4th of July festivities. 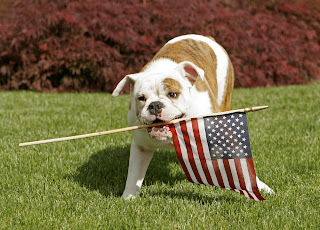 From all of us here at CanadaVet.com, we wish you all a safe and happy 4th of July holiday. I have a 13 year old dog with a giant lipoma.... She is a medium sized dog. We were advised to wait for surgery because of her age...but now has trouble carrying on her shoulder. She is healthy and happy...but this has to be done. Can it be done at her age. It is very large. Thank you.